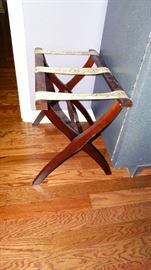 LEESBURG CUSTOM FURNISHINGS ESTATE SALE PLUS MCM DECOR! AddressThe address for this sale in Leesburg, FL 34788 will no longer be shown since it has already ended. You must bring help to load large items. Cash, check, credit cards. 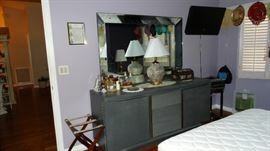 MID CENTURY MODERN CUSTOM PAINTED AMERICAN DREW BEDROOM SET WITH QUEEN SIZE HEADBOARD AND TWO NIGHT STANDS, HIGH CHEST AND DRESSER WITH MIRROR. 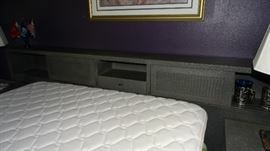 ALSO MATCHING LANE CEDAR CHEST IN SAME FINISH. LANE CEDER CHEST CUSTOM FINISHED. 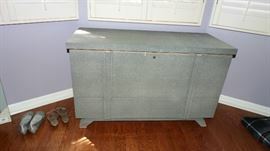 AMERICAN DREW HIGH CHEST WITH VALET INTERIOR DRAWERS AND CABINET TOP. 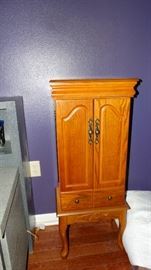 PAIR OF AMERICAN DREW NIGHT STANDS IN CUSTOM FINISH. 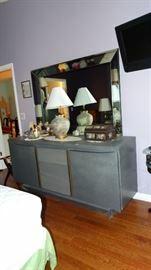 AMERICAN DREW DRESSER AND MIRROR, MCM WITH CUSTOM FINISH. INTERIOR OF AMERICAN DREW DRESSER WITH CUSTOM FINISH. 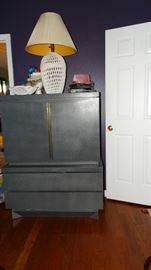 INTERIOR HIGH CHEST WITH VALET INTERIOR DRAWERS. 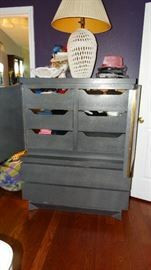 MODERN LIGHTED BLACK EBONY PAGODA DESIGN DISPLAY CABINET. WITH BLACK EBONY ACCENT MIRROR. MODERN GREEN ITALIAN TRAVERTINE MARBLE BASE GLASS TOP DINING TABLE WITH SIX EBONY CHAIRS. TWO ARMED CHAIRS AND FOUR SIDE CHAIRS. 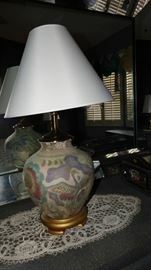 LARGE TERRACOTTA POTTERY DECOR FLOOR VASE. 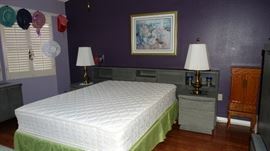 CUSTOM UPHOLSTERED NORWALK FURNITURE COMPANY SOFA AND TWO ARMLESS SIDE CHAIRS. NORWALK CUSTOM UPHOLSTERED ARMLESS SIDE CHAIRS. 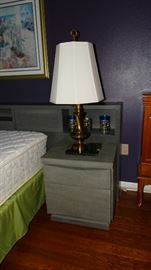 HOUR GLASS BASE SIDE TABLE WITH GLASS TOP. NORWALK FURNITURE CUSTOM UPHOLSTERY SOFA. HOUR GLASS PLASTER BASE COFFEE TABLE WITH GLASS TOP. PAIR OF HOUR GLASS PLASTER PEDESTALS WITH GLASS TOP CONSOLE TABLE AND QUARTZ CLOCKS. 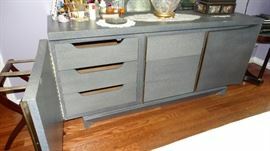 PINE FINISH MODERN COMBINATION CABINET AND DRAWERS. PICKLED WHITE MOBILE NIGHT STAND. WICKER KITCHEN SET. WICKER PEDESTAL WITH TWO WICKER ARCHED BACK CHAIRS. COMBINATION MICROWAVE AND CONVECTION OVEN. ITALIANATE GREEN UPHOLSTERED ARM CHAIR.